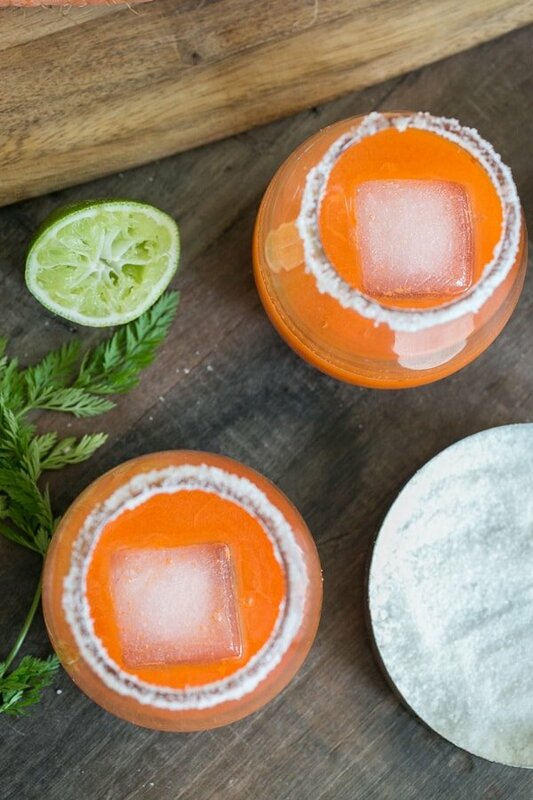 This Carrot Margarita recipe was inspired by the cocktail served at Flora Farm in Cabo San Lucas. 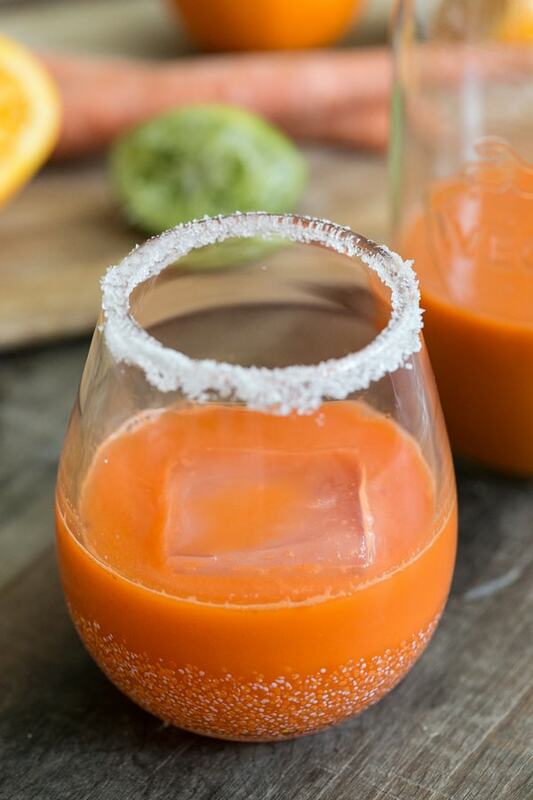 I thought there is no way a margarita made with carrot juice can taste good…can’t happen. But I was shocked at how refreshing and delicious a carrot margarita is! 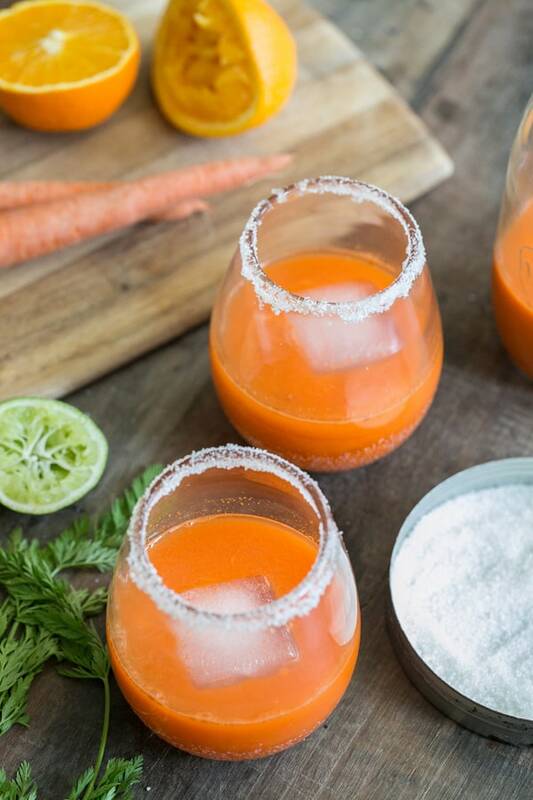 The unique combination of carrot juice, lime, orange and jalapeño tequila blend very well together. It’s also nice to know that as I’m sipping this, my body is rejoicing with all of the beta-carotene. If this is how I have to get my carrot juice for the week, then so be it. I must say, it’s one charming cocktail for Easter brunch! I heard about this and have been wanting to try. Not a bad idea for Easter weekend!!! This is an amazing idea! We have a lilac margarita and I feel like I want to search the web for all sorts of amazing margarita alternatives now. I can’t WAIT to try this one out, esp since I have been juicing carrots on nearly a daily basis. My husband said no way, but I’m always up to try anything new. Thanks for the recipe! Haha, that’s too funny Gina! I promise, it’s actually surprisingly good!